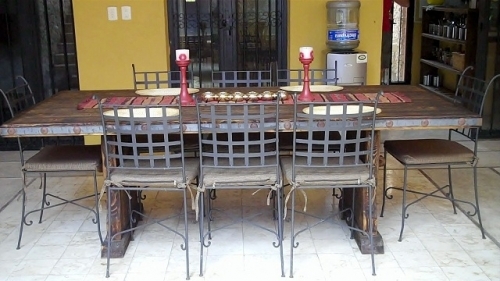 Percy table incorporating reclaimed wood along with wrought iron chairs, with seating for four, six or eight persons. Includes removable chair cushions. Incredibly beautiful way to feature a great dining space. 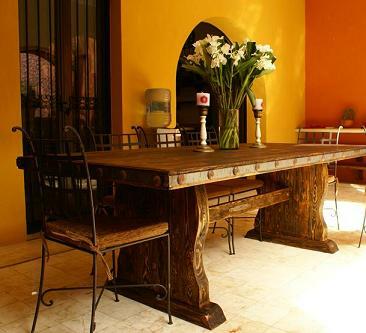 This gorgeous dining room ensemble combines beautiful reclaimed wood and wrought iron -- an unbeatable combination for your Mexican dream home. 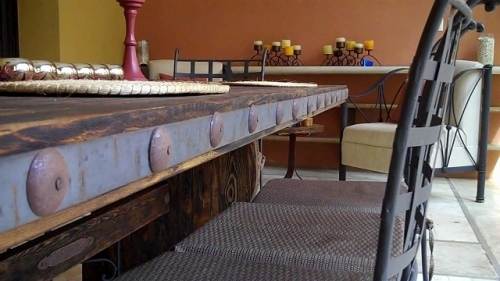 Your guests will never stop admiring the table and running their hands over its surface. And, they may never want to leave -- these are the most comfortable dining room chairs we sell ! 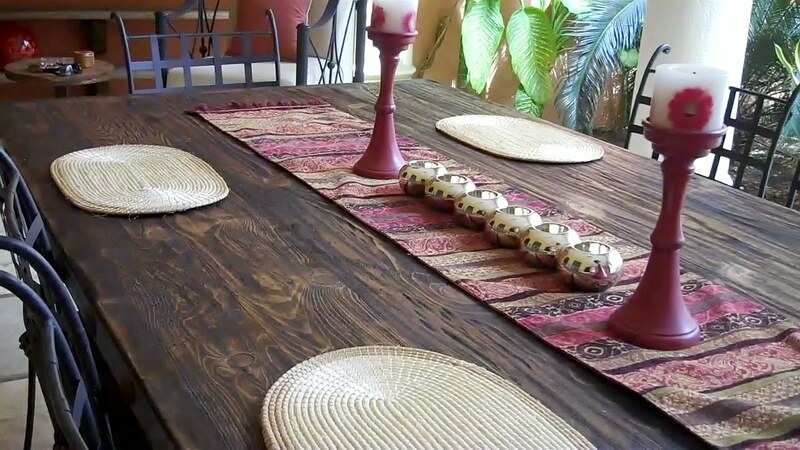 With this dining area as the anchor point, you don't need much else for a very special dining ambiance -- perhaps some interesting talavera pottery or a few beautiful plants. Percy ensemble seats four, six or eight persons. Removable cushions included.